This is a very sturdy, quality stand that fits my ENO DN perfectly. Very easily assembled in minutes and movable if need be. Also, this stand looks good in my backyard. I sleep in my hammock at least three nights a week. This stand is sturdier than any other I've seen or used. 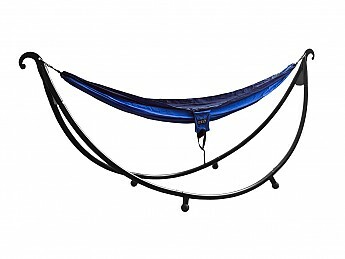 The hammock clips on and off in seconds, and the sag is perfect. I expect years of good service from this stand. It also looks good too. You can easily transport this stand to the beach or park in the trunk of a car, but it's a bit too heavy carry by hand very far. Definitely not for hikers, but car camping would be fine. I tried one of these this last weekend. It seemed to work well and fit the ENO hammock well. 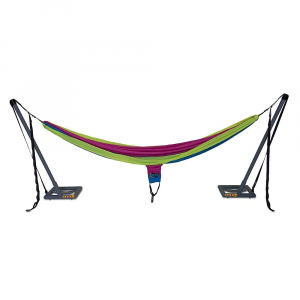 Unfortunately, the ENO hammocks are rather short so it would be too short for a longer hammock. Also, it would be difficult to rig a tarp over it as there isn't an easy place to attach the tarp ridgeline. I tied on a ridgeline that sits just above the clevis hooks. Two reasons for this. First, it gives me something to grab onto to help me out of the hammock the hammock. Secondly, my tarp rests easily on it. I used anchor line that resists rot and is thick enough to grab onto. 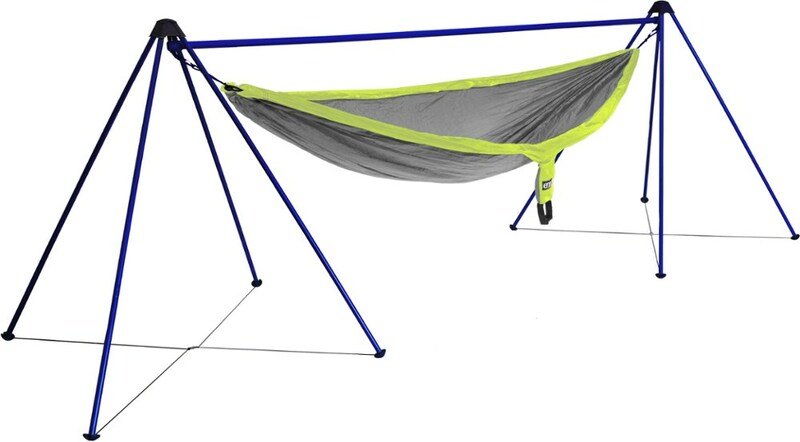 This sturdy, easy to set up hammock stand provides convenience and freedom—more hammock time without the need for trees or straps. Though, not as portable as described by ENO. 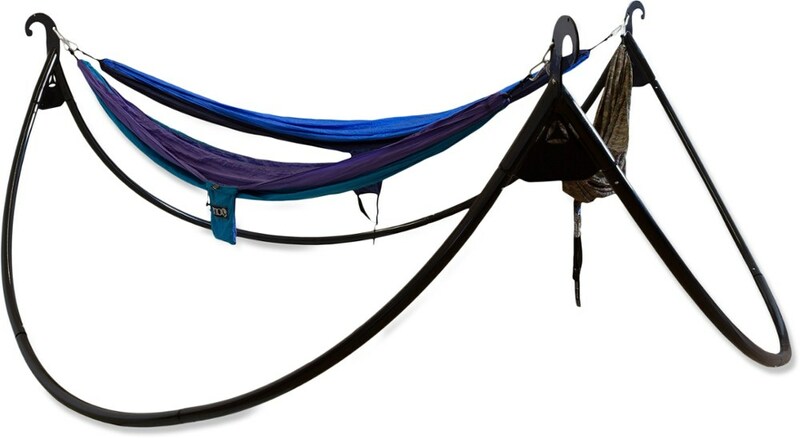 Now I can use my ENO & Hennessy Hammocks anywhere I wish, no trees nor straps needed. 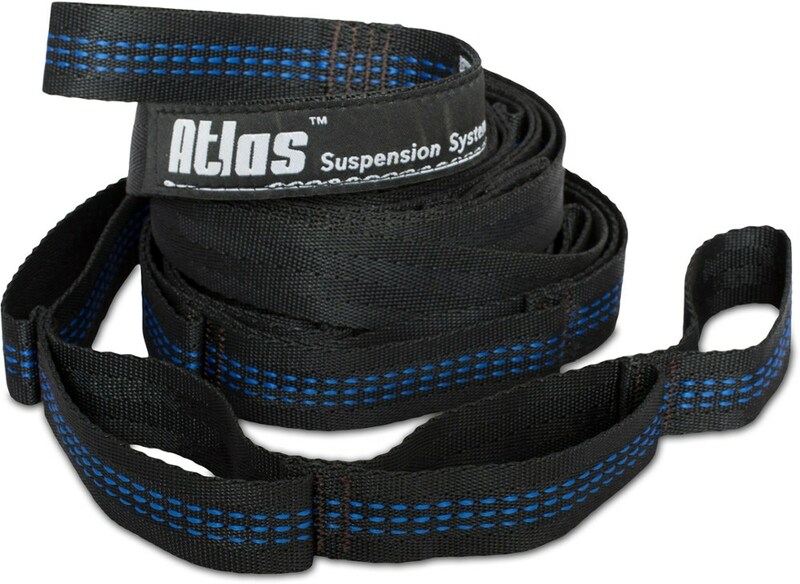 Eight pieces snap together easily and I’m ready to hang my hammock. Its sturdy construction allows it to remain stable and balanced on different terrains, as I chase the ever-moving shade in my backyard. Its shapely aesthetic and powder-coated steel mean I can leave it assembled in my back yard (wife-approved). Also, my hammock settles low enough to convert to a swing. And my dog can easily hop in—important conditioning for when we go hammock camping. Still, the Solopod is not as portable as I believed from the packaging. In total, the eight pieces weigh 58 pounds and are of an awkward size. I won’t wrestle with this in order to bring it along to the beach or any locale that’s a significant distance from the car. 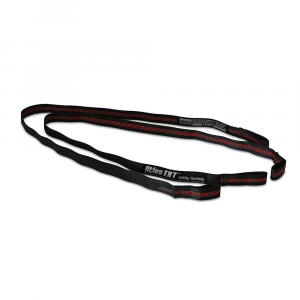 This needs the convenience of a wheeled carry bag, similar to the quick shades. Also, I'd like the convenience of a shade made-to-order for this product. 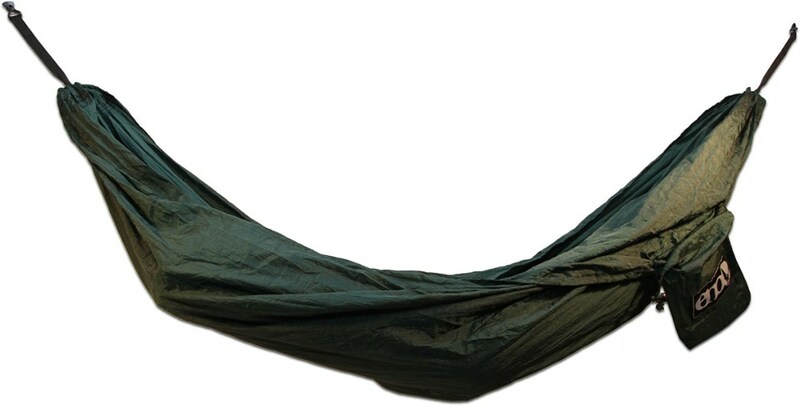 In lieu of this, I tie a ridge line for my rain fly, but have no convenient anchor points for stretching out the tarp. A custom shade that can be easily attached would be ideal. 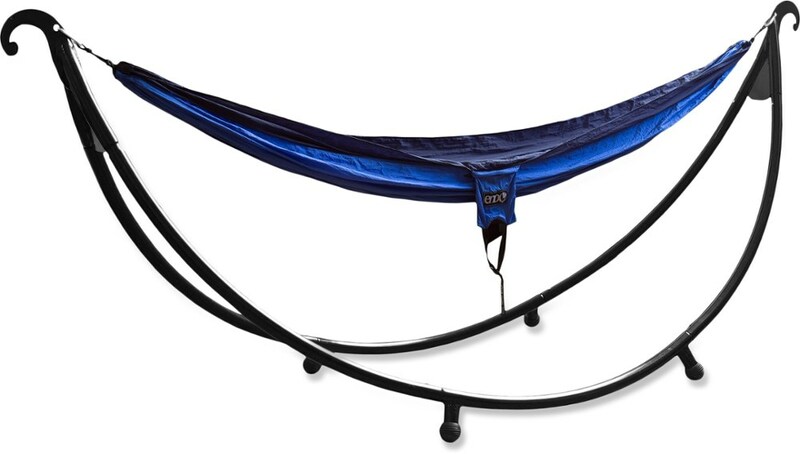 Still, I’m glad I have it and highly recommend the ENO Solopod to anyone that wants to enjoy their hammock even when Nature doesn’t provide nearby trees.